A co-pilot of the turbo-prop Let-410 plane run by Summit Air bound for Kathmandu and a police officer on the ground were killed on the spot, Lukla airport official Ema Nath Adhikari told AFP. He said the plane skidded off the runaway, hitting the helicopter of Manang Air. 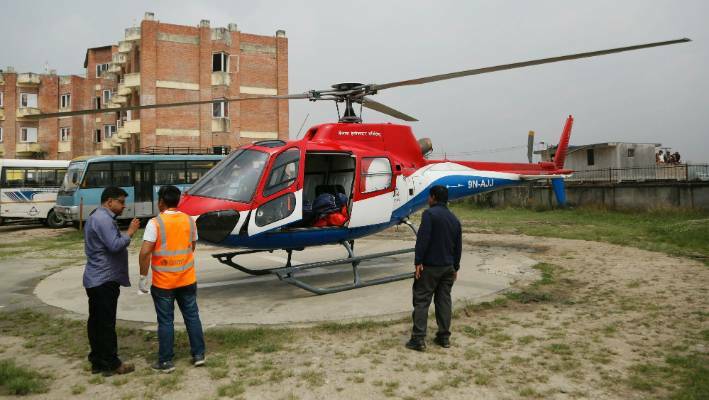 The pilot and three other crew members survived and are being treated at a hospital in Kathmandu after being airlifted there. The plane, operated by Summit Air, was not carrying passengers as it was trying to leave what is considered to be one of the world's most risky airports due to the shortness of its runway and its location surrounded by mountains. It's open only to helicopters and small fixed-wing aircraft.